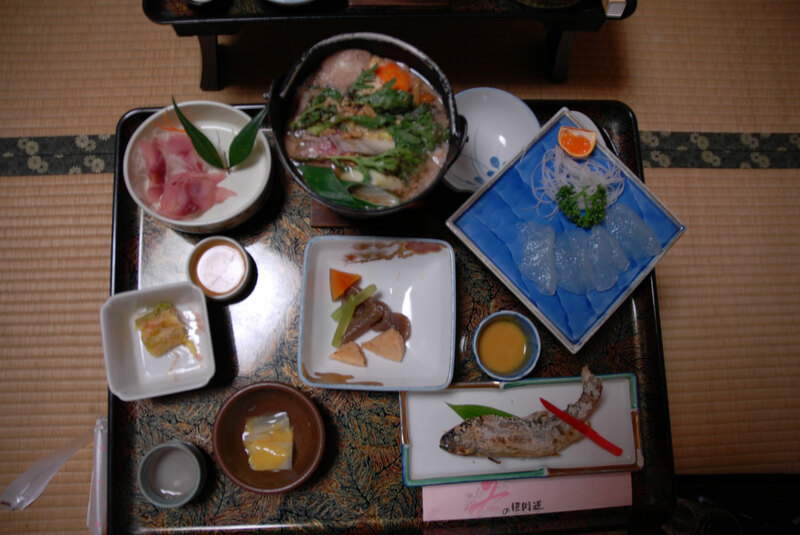 In general, the food was unpretentious and featured local ingredients native to the region – big, thick, sweet green onions, mountain animals and konnyaku (a kind of jelly made out of potatoes). I am not a huge fan of konnyaku – but having konnyaku sashimi was delightfully unexpected. Of course, a winter dinner would not be complete without nabe. In this case, it was inoshishi (boar) nabe. 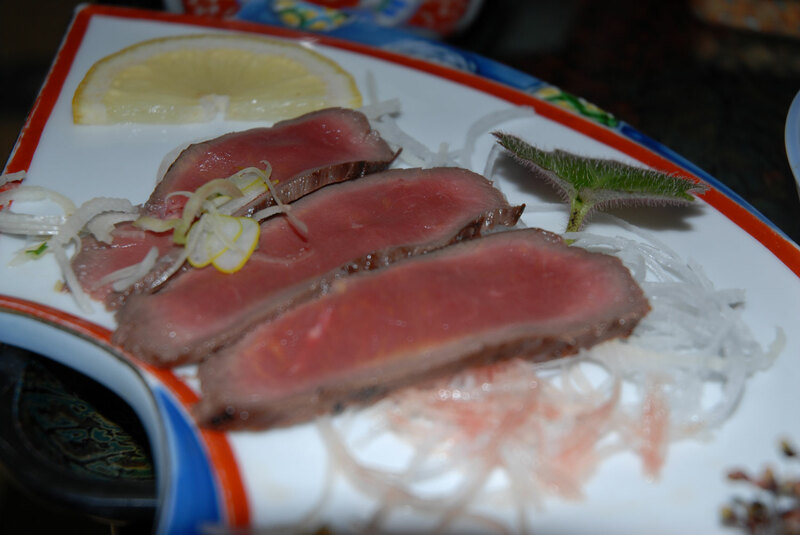 In addition, under the recommendation of the owner, we ordered the seasonal special: deer sashimi. This meal was not PC, and was only for one who can handle game meats. Breakfast was modest (we were baffled by the lack of a fish dish) but alive with local ingredients. 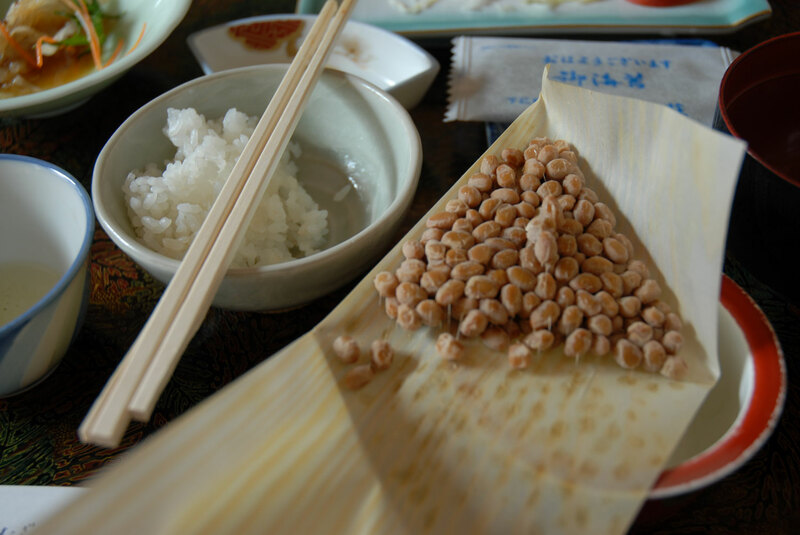 Most notable, for me, was the natto – the beans were firm and the taste robust. There were two onsens – indoor and outdoor. The indoor bath was made completely of wood – therefore, no ugly tiling or slippery rubber. With a huge window overlooking a frosty river scene, I knew I would have to savor the soaking for all the times that I am and will be sitting on the seventh floor of a building in Ginza. The outdoor bath was breathtaking. After indulging in the ryokan’s homemade sake brew, I hung out in the outdoor bath. 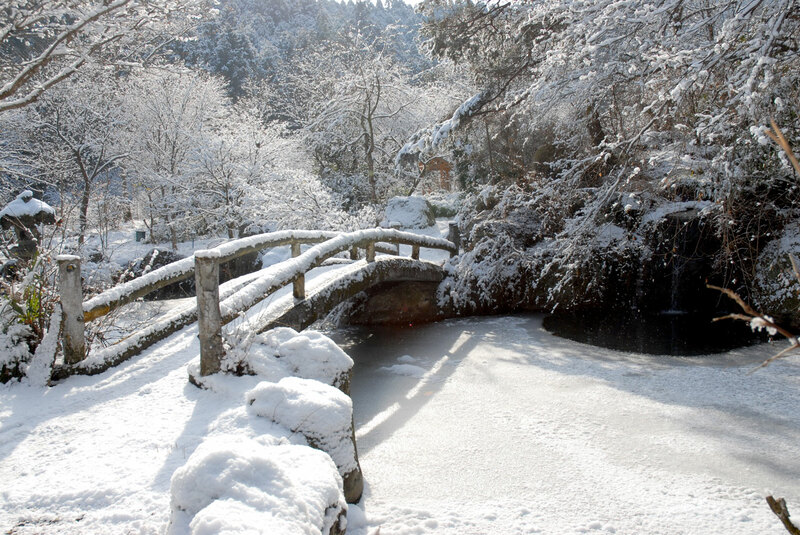 With fine flakes of snow landing on my face and the rest of my body happily engulfed in hot onsen water, I was convinced the Japanese were geniuses at the art of vacationing. Places like Kyoto and Hakone are beautiful, but the more I live in Tokyo, I realize that Japan is full of treasures without the crowds. 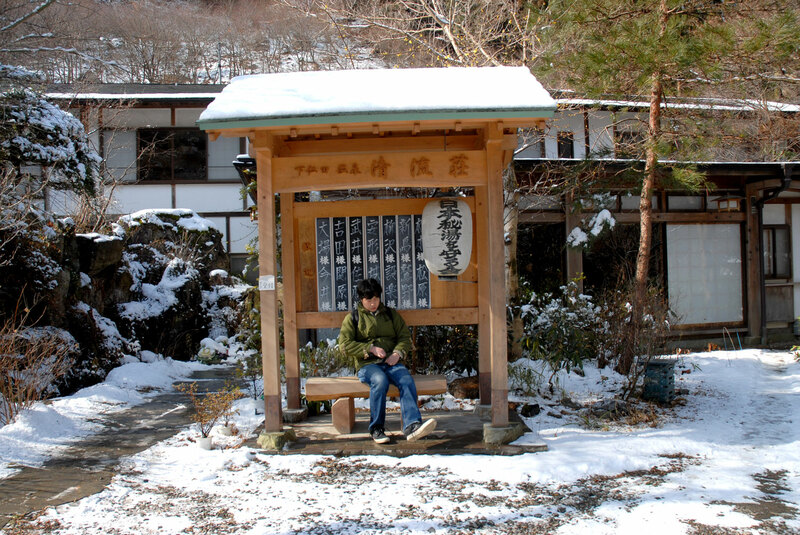 This entry was posted on February 12, 2008 at 9:52 pm and is filed under *Yoko, holiday, Japan, Onsen/Ryokan/Spa, Shimonita. You can follow any responses to this entry through the RSS 2.0 feed. You can leave a response, or trackback from your own site. so nice that you can just pick up and go on a romantic hot springs/ pig out weekend on a whim. what did the boar and deer taste like? the natto looks so fresh. we’re having a white xmas over here as well, two months late. what is up with this?